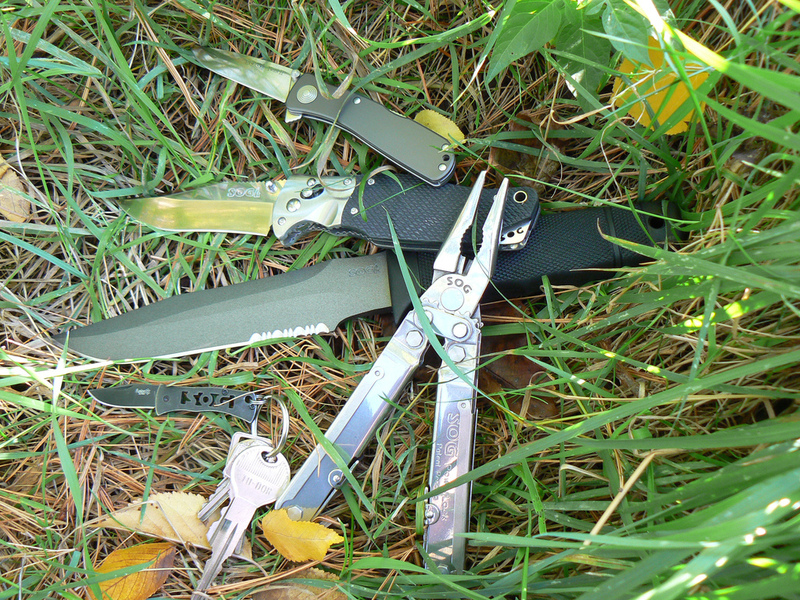 The SOG Seal 2000 won 13 other knives to gain the prestigious title of being supplied to the US Navy Seals for their usage, after a rigorous battery of tests which included flame, saltwater, acetylene torch resistance and abuse of all sorts. 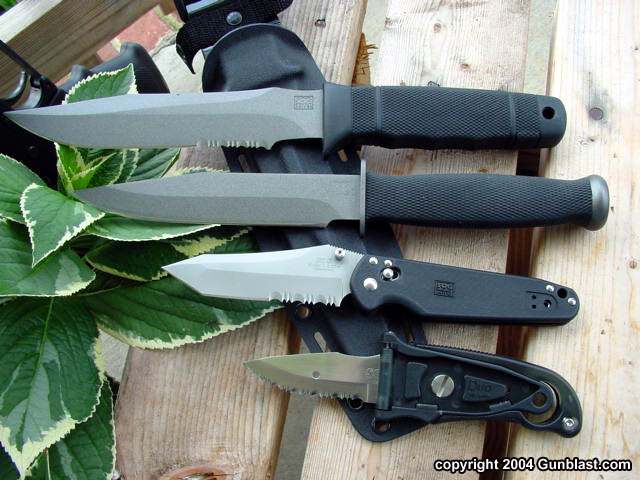 It is the combination of all of SOG's fixed blades - a little bit from each model pieced together to form it. 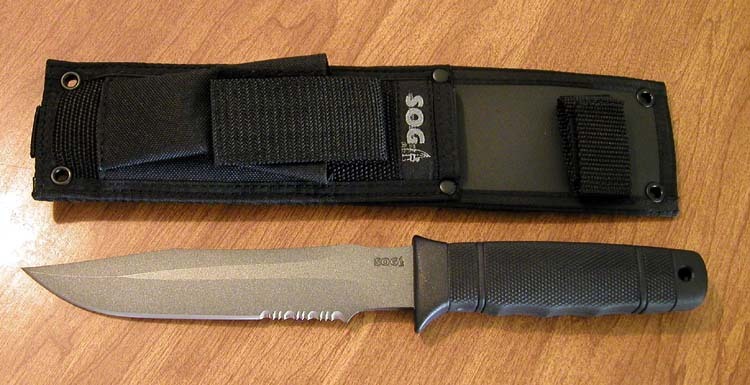 The SOG Seal 2000 Knife features 7" partially serrated blade, powder-coated for low reflectivity, grippy Zytel handle for chemical and flame resistance, AUS-6 steel for saltwater resistance, tactical jump-rated kydex sheath with "groove" for easy cutting of cords, and the list goes on... 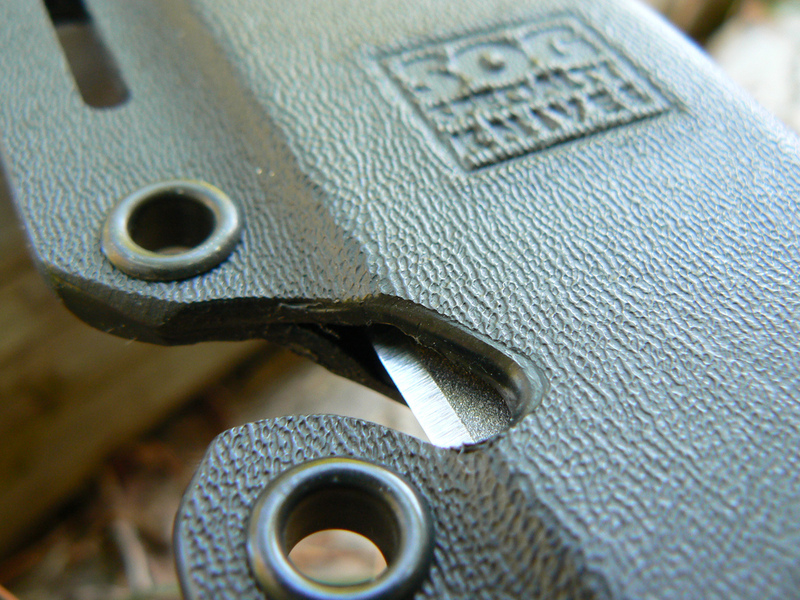 This is the iconic "SOG Knife" indeed. 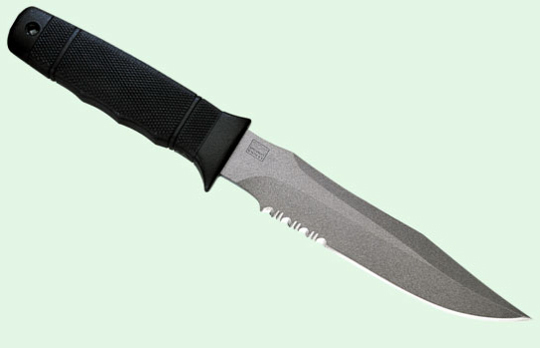 It is especially popular among the general public as a scuba diving knife for its high saltwater resistance and is usually strapped to the thigh/calf for a tactical feel. 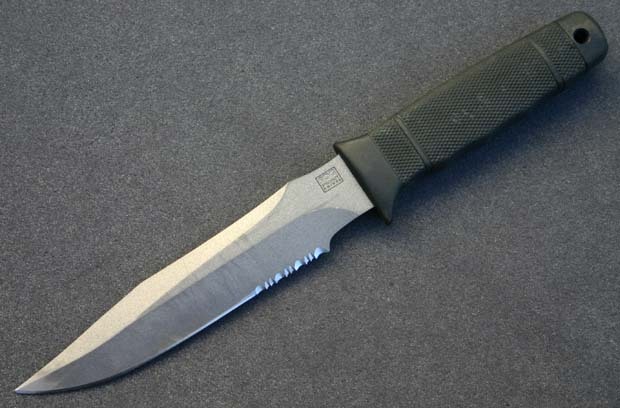 Blade Length: 7 in. 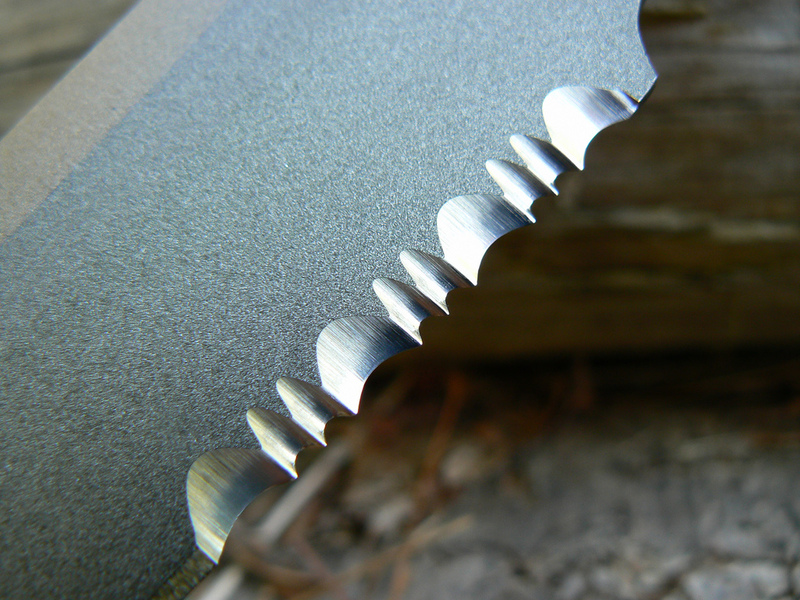 x .250 in. 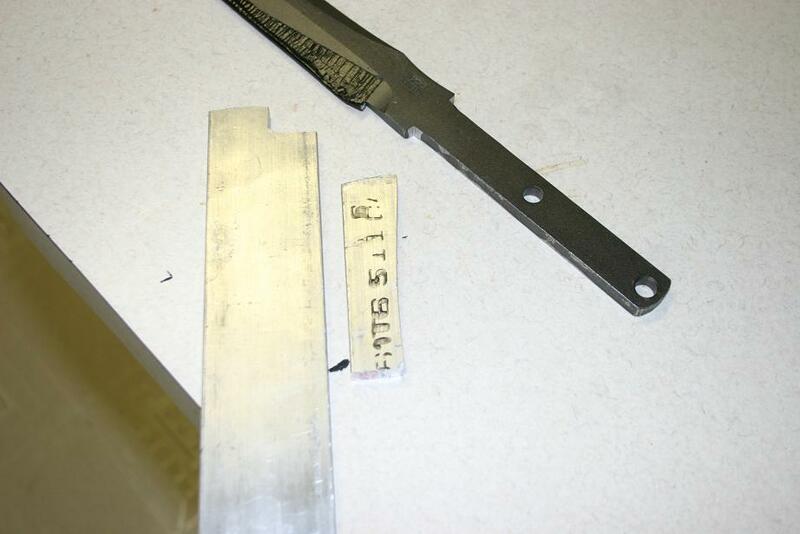 Other things of interest: "Official" knife of the SEALs. 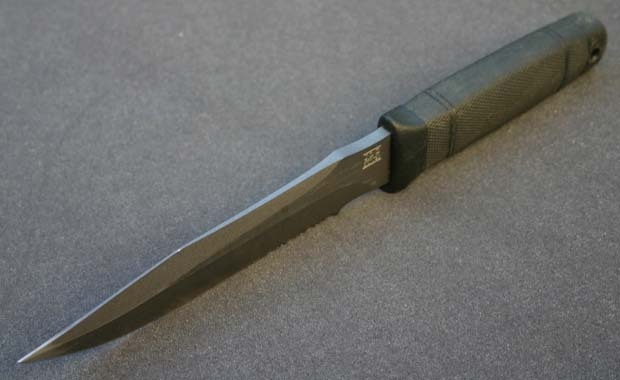 After one of the most extensive testing and evaluation programs ever undertaken by the US Government that included knives from almost every major cutlery manufacturer in the USA, we are very proud to announce that the SOG SEAL Knife 2000 triumphed and has been declared the highest ranked knife among the US Navy SEALs. The SEALs are probably the most specialized elite military group in the world today. SEALs must undergo a rigorous training program that has been devised to produce the consummate warrior. Only a select few endure and are accorded the right to wear the SEAL Trident on their uniform. 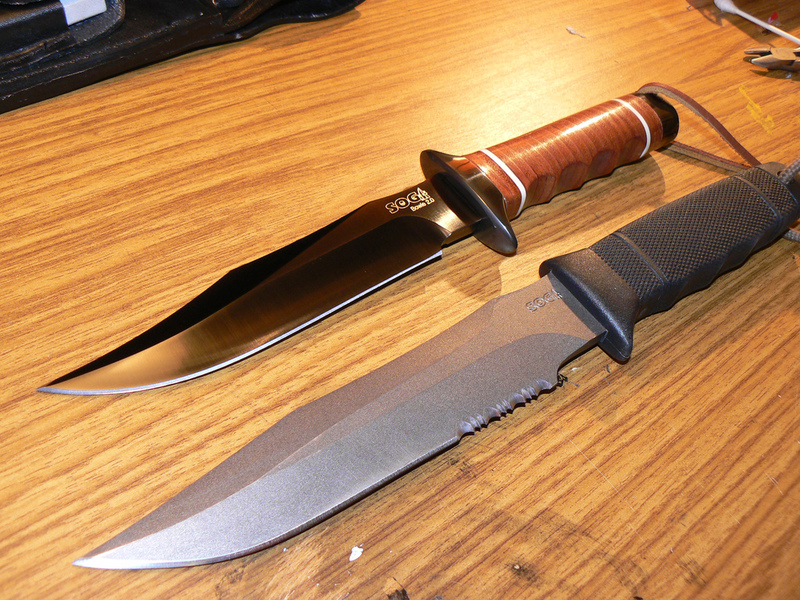 This knife evaluation program included the following tests: Tip breaking strengths, blade breaking toughness, sharpness and edge retention, handle twist off limits, two week salt water emersion tests, gasoline and acetylene torch resistance, chopping, hammering, prying, penetration, cutting of 6 different types of rope and nylon line, low noise and reflectivity evaluation, plus an intense hands-on competition in the field. 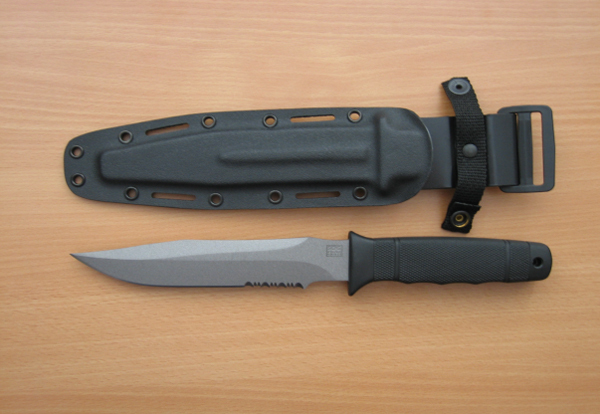 The SEAL Knife 2000 can be securely carried in its waterproof Kydex sheath. 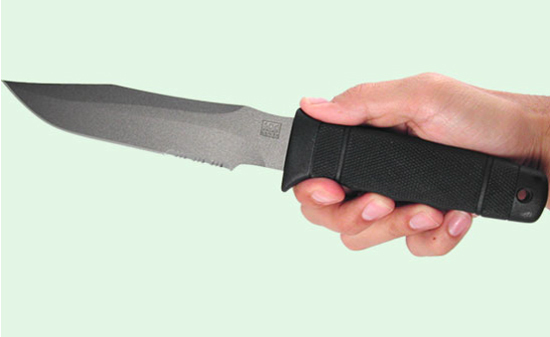 This scabbard uses a friction fit as well as a backup nylon strap for knife retention, allowing you to carry it upside down or sideways. 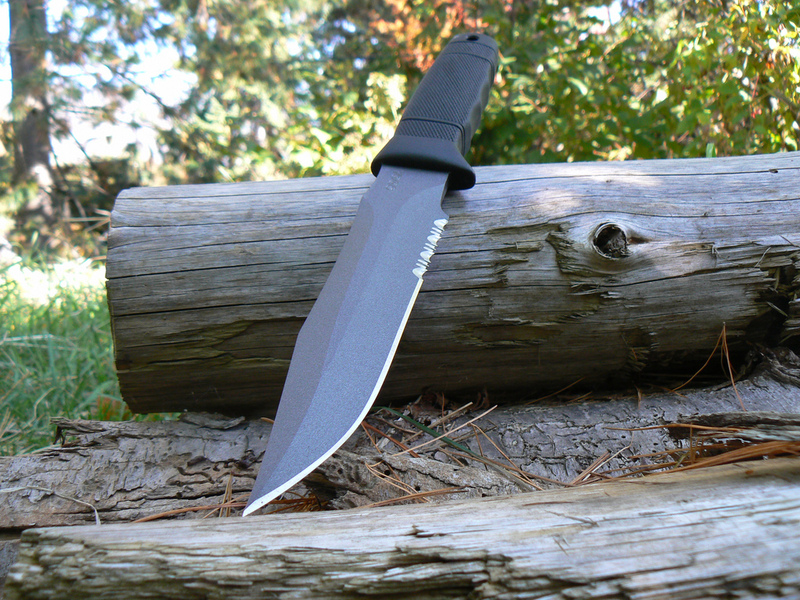 The SOG SEAL Knife 2000 is perhaps one of the most dramatic fixed blades on the market. 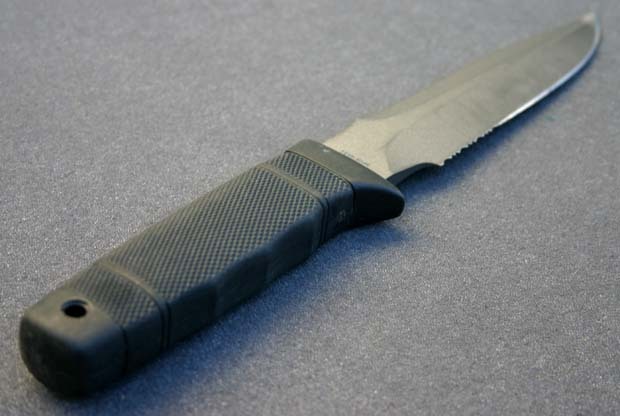 You can be assured on this amazing knife that the SEALs have done their homework, so you don't have to.